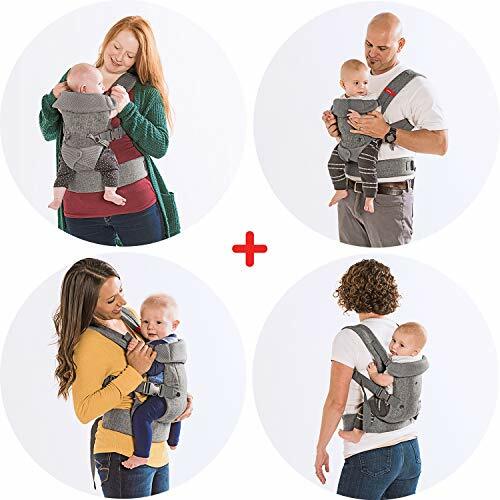 You+Me 4-in-1 ergonomic baby carrier in a fashionable + stain-resistant heather grey fabric newborn or infant holder, and toddler backpack. This is the perfect gear for your registry with a unique convertible seat for baby that makes for the perfect carrier from birth through toddler years. 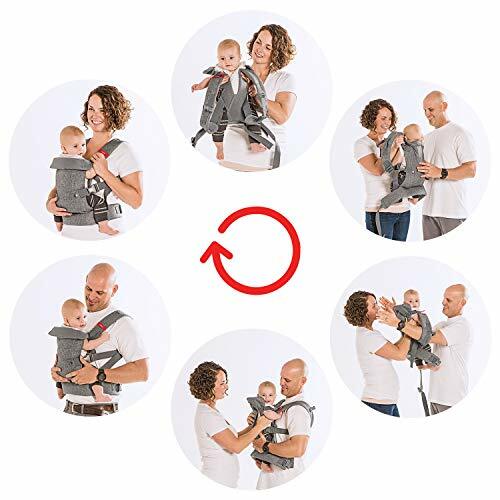 Use the narrow seat setting and padded built-in head support to comfortably carry newborns and small babies in tummy-to-tummy position. Much more ergonomic for mom than a ring sling and requires no infant insert to use! Switch to the wide seat setting to continue to provide a variety of ergonomic carry positions as your child grows. 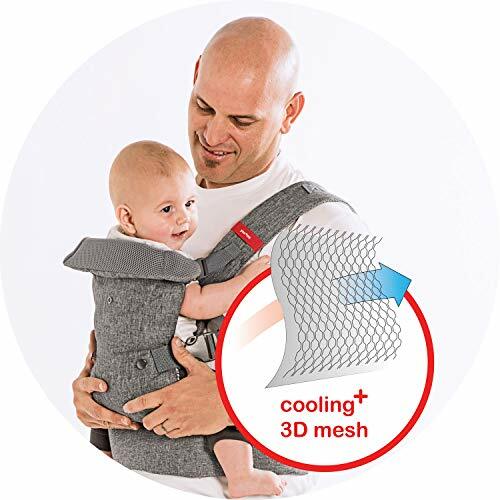 Keep your cool: YOU+ME baby carrier helps you stay cool all year long and beat the heat with breathable 3D cool mesh for excellent airflow. 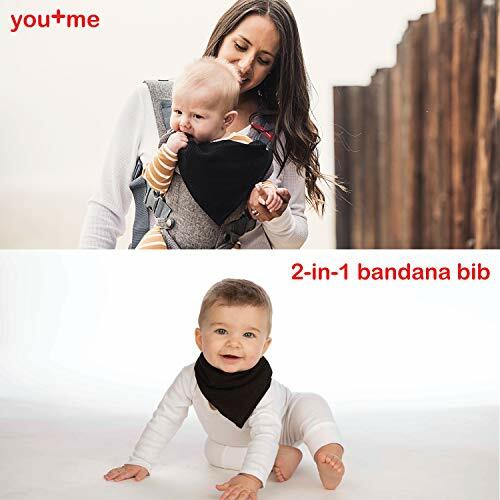 As a special bonus, we’ve included a stylish double layer 2-in-1 bandana bib that can be used with the carrier or separately as an everyday bib The perfect fit: YOU+ME baby carrier offers a perfect tailored fit for all caregivers and babies. From petite to plus size — the adjustable seat, padded shoulder straps and waist belt allow for a completely customized fit for you and baby. Peace of mind: YOU+ME products are developed by our teams in California and Colorado, and tested to the highest standards. Products are compliant with and exceed ASTM F2236-16a/CPSIA. Our baby carrier is protected by US patents No. 7,766,199 B1 and D657,132 S. Here to help: We’re all busy parents, and just like you, we understand what it takes to raise a family these days. So we make all of our products easy to use, and machine wash & dry friendly. Cuddle up with your LO!